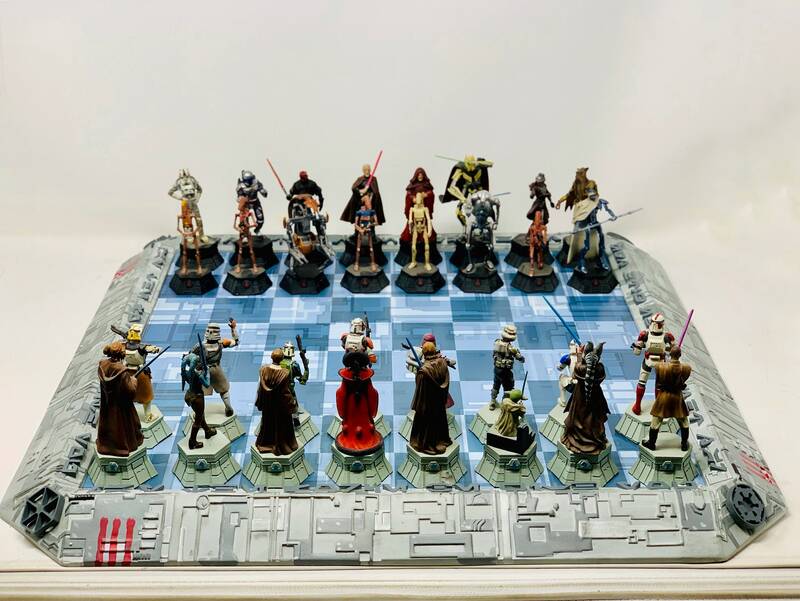 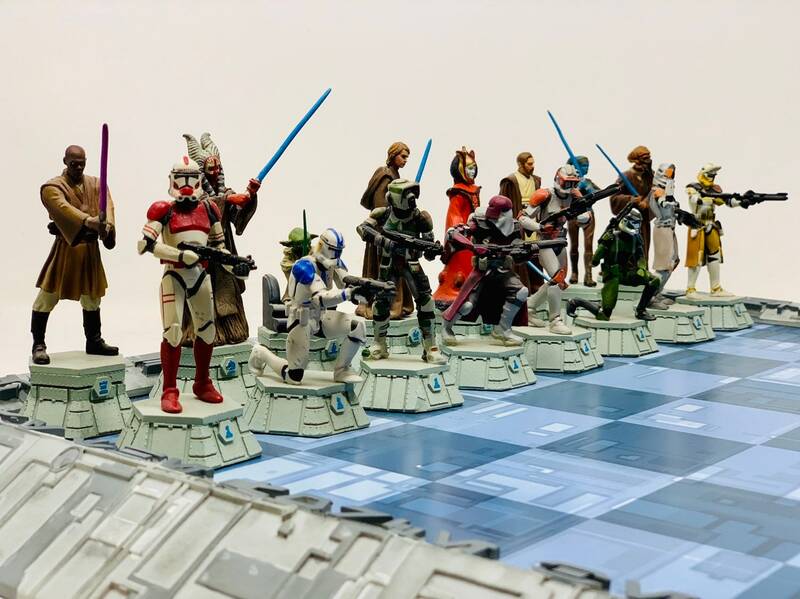 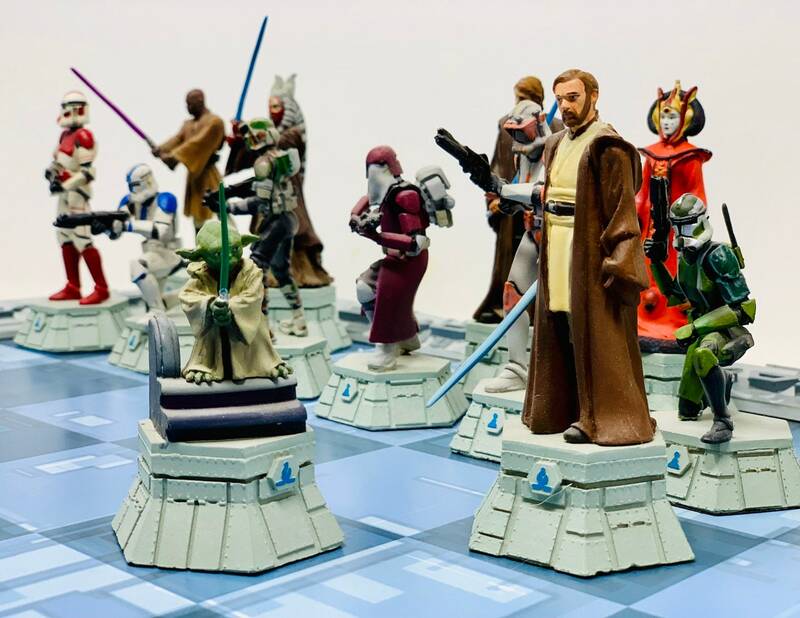 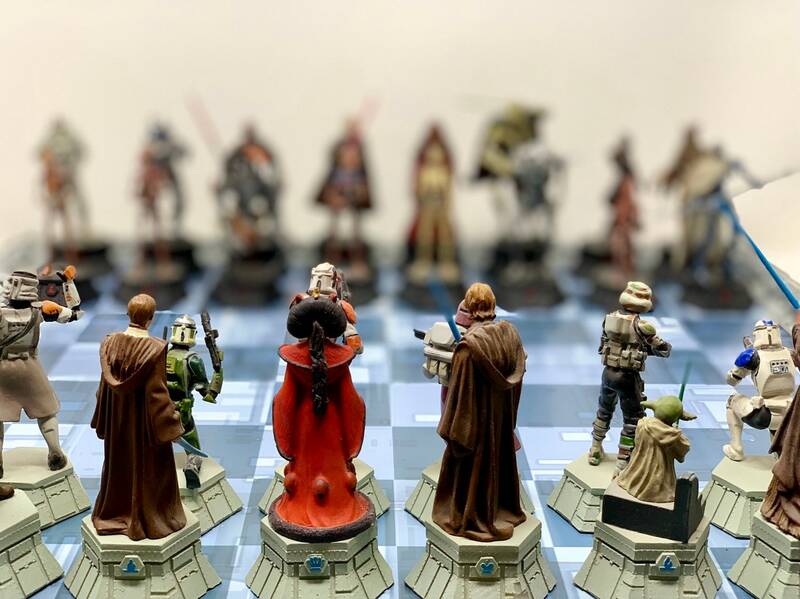 The Star Wars Chess collection consists of 32 pieces, one dedicated to the original trilogy and the prequels, where the black and white figures reproduce the confrontation between the forces of good and evil in the different stages of the saga. 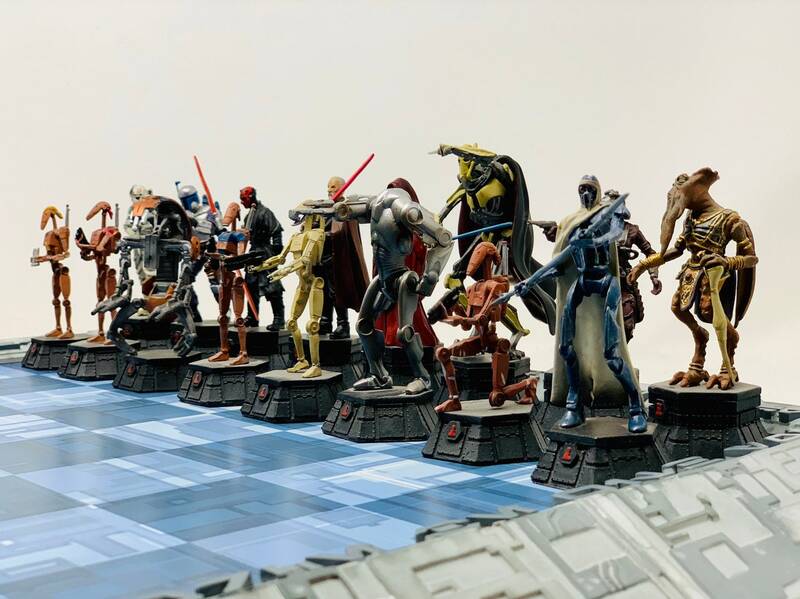 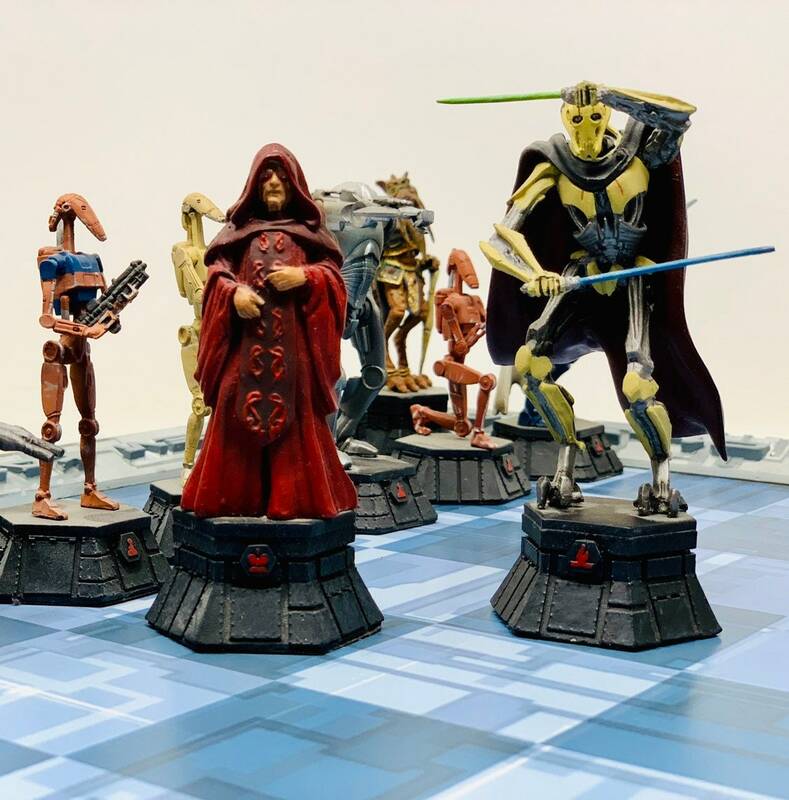 The Star Wars Chess collection consists of 32 metal figures, hand painted by artists of famous collections, which maintain the proportions between characters. 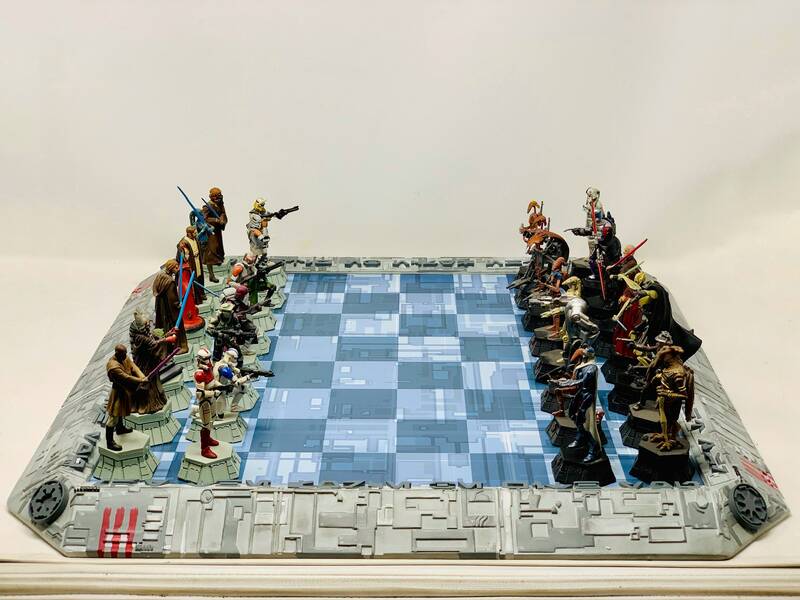 Pieces and pawns are presented in white and black bases of different heights, with the corresponding symbol to facilitate their identification. 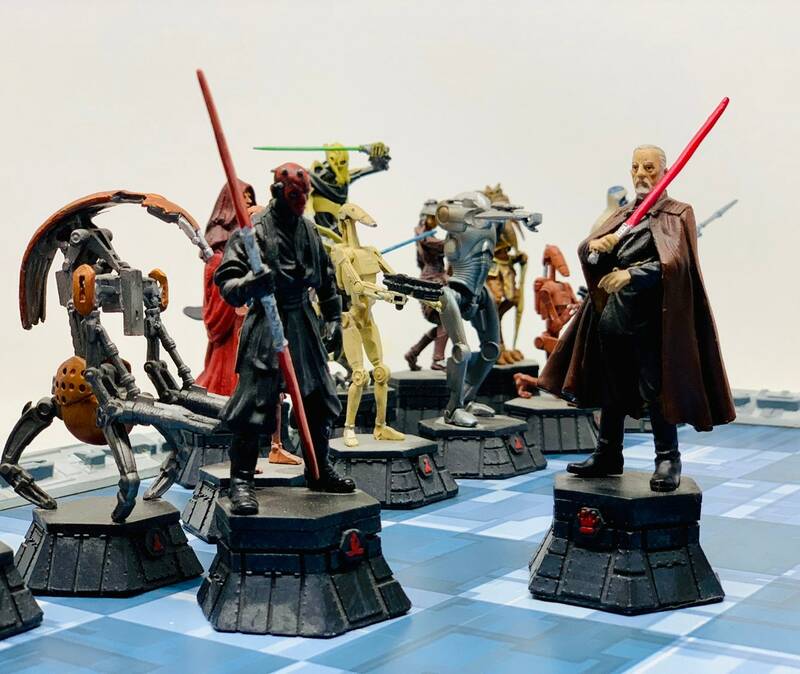 Each figure is a faithful reproduction of the character, and under the supervision of Lucasfilm has been created by expert craftsmen taking care of the details. 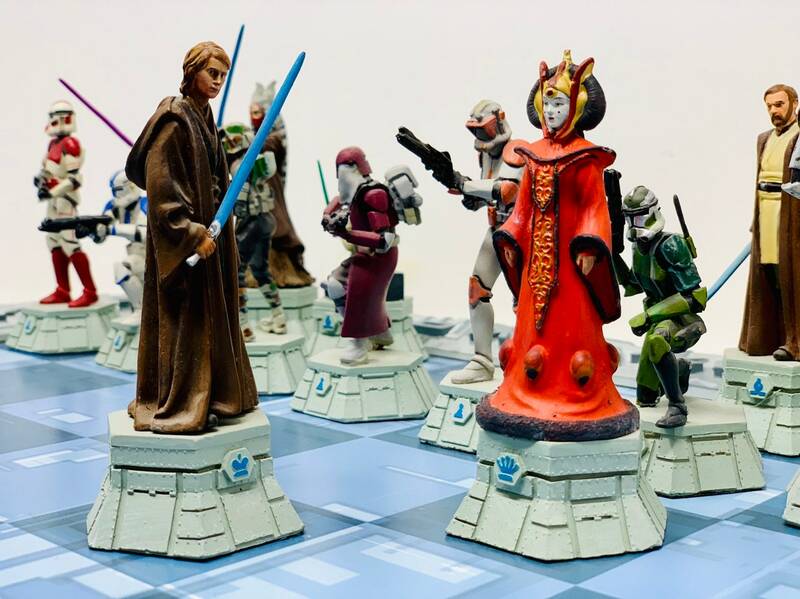 Pieces approximately 13cm in king. 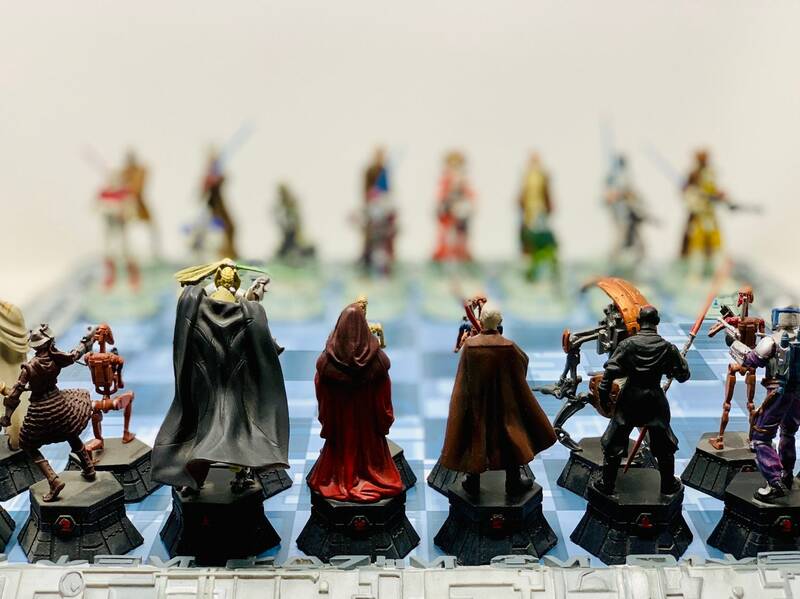 No or clutch the board.